Coming from one of America's Superstore Giants in a time when everyone is very willing to put on the brakes and no one is willing to step on the gas. Target Corp. said Tuesday that it had eliminated all farmed salmon from its fresh, frozen and smoked seafood sections at stores nationwide. This decision includes national brands and Target's own Archer Farms and Market Pantry labels. All salmon sold under Target-owned brands will now be wild-caught Alaskan salmon; the company also said sushi made with farm-raised salmon will be made with wild-caught salmon by the end of the year. The discount giant said it wanted to ensure that its salmon was "sourced in a sustainable way that helps to preserve abundance, species health and doesn't harm local habitats." The company said salmon farms can hurt the environment through pollution, chemicals and parasites. Julie Packard, executive director of the Monterey Bay Aquarium, which worked with the retailer on changing its salmon offerings, said stocking seafood from "ocean-friendly sources" would help improve fishing and fish-farming practices around the world. 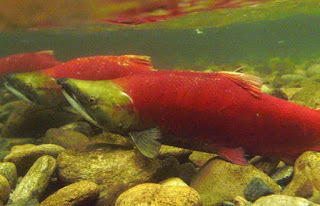 "Target's decision to source sustainable wild-caught salmon, instead of farmed, will have a real impact in the marketplace _ and ultimately, on the health of our oceans," Packard said. Minneapolis-based Target operates 1,744 stores in 49 states. A destination fishing trip in one of the more remote places on earth. A bucket list entry for sure. Well done Gents. The River Time Forgot-Mongolia from Mikey Wier on Vimeo. conditions, we’re expecting to see another splendid summer of excellent water levels and fishing. April and May are varied months regarding temperatures and precipitation (both snow and rain). Keep your eyes peeled and watch our local forecast so you can time it right and find yourself casting to very eager and hungry trout that are willing to take flys. 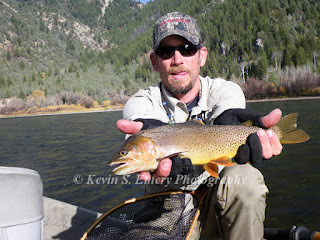 favorable, you can expect to battle big Brown, Rainbow and Yellowstone Cutthroat trout. You’ll never forget this experience. Yellowstone NP’s Firehole River and Lewis Lake are also great options for fishing and wildlife viewing in the month of June. The Green River comes into it’s own by mid-late June and will give you a chance to cast to Large Brown, Rainbow and Colorado River Cutthroat Trout. 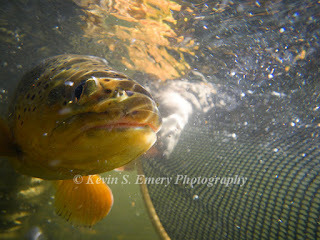 July is our kick off to successful fishing on the Upper Snake River. It’s at this time of year that we find ourselves reaching for the big flys, both dry and wet. While many of the bigger fish are often still in the tributaries resting after the spawn, you can find yourself catching high numbers of wild and native Snake River Fine Spotted Trout in the 8 - 16 inch range with the occasional fish over 16 inches. 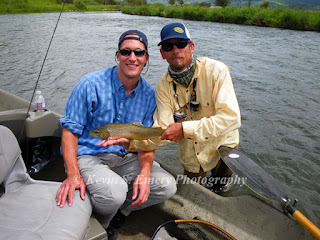 August is one of our finest months to fish the Jackson Hole area. The water levels lower, temperatures start to cool off, and terrestrial season is in full force. Get those hopper, beetle and ant patterns out and be ready for incredible battles with our bigger natives as they come out of the tributaries and feed in the main stem of the Snake. Your total catch numbers may go down, though their size will balance this out. September Is PRIME TIME. Most visitors have gone back to school and work. This leaves plenty of space for the keen angler to hunt for the trophy trout. One week to avoid is the second weekend in September. This is the date of the annual Jackson Hole One Fly fishing competition. Due to this, most guides are booked up and there are large numbers of anglers trying out their “One Fly” and searching for the best spots. I have guided in this event for the past few years and will again this coming season. This season I am pleased to be able to guide you on many new sections of the Snake River in Grand Teton Nation Park, South Fork of the Snake River in Idaho, as well as the Green, New Fork and Salt River through Will Dornan’s Snake River Angler. Thank you for letting me share in a part of past seasons with each of you. Book your trips early and I look forward to seeing you again soon.